Create this fun and easy tiled pillow! We will complete and sew two tiles together in class. The technique learned in this class is perfect for creating any tiled scene project! This project is compatible with any machine with an embroidery capability of 5.5” x 5.5” or larger. **This class is only available for customers who purchased their machines from Snyder's. 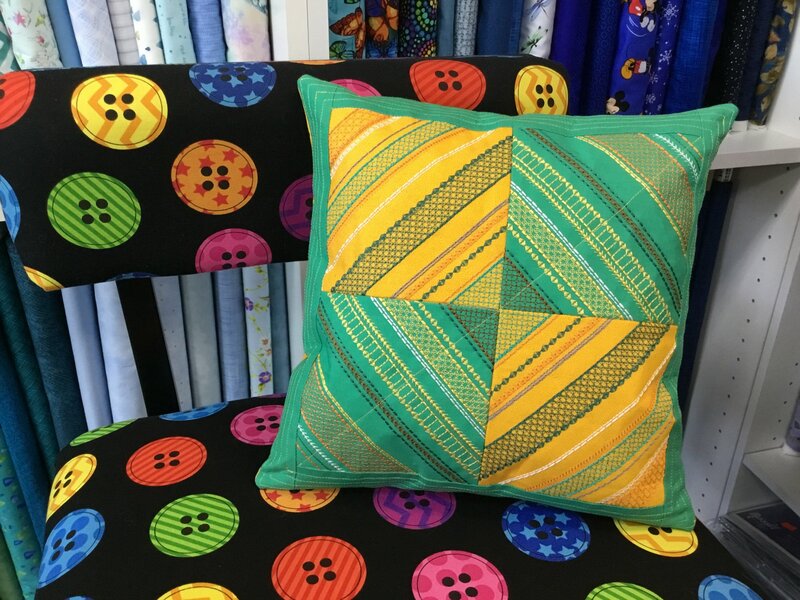 Want to take the class but don't want to pack up your embroidery machine? This class is available as a lecture! You still get the design file and all the information without the extra hassle! Machine (in good working order) with an embroidery capability of 5.5" x 5.5" or larger. Embroidery Club USB Stick.